When comparing abuse and discipline, the question to ask is: what is the caregiver trying to achieve in either case? The table below offers a comparison between the two. » Demonstrates anger and hostility. » Demonstrates love and affection. » Make child listen. » Teach child right from wrong. » Teach child that decisions are at the whim of the caregiver. » Teach child to make healthy choices for him/herself and prepare child for eventual independence. » Caregiver has all the power; child is given no respect. » Based on a balance of power and mutual respect. » Involves humiliation. » Does not involve humiliation. » Requires submission. » Does not require submission. It's difficult to get into a discussion here without going into the spanking issue. 94% of parents of toddlers reported using corporal punishment in the previous 12 months; 35% hit infants (Strauss, 2000, pp. 1109-11141). In an American study, 28.4% of parents of two to four-year-olds and 28% of five to eight-year-olds reported using an object to spank the bottoms of their children (Gallup Survey). Thus more than one in four parents admit to using an object to hit their children in the name of discipline (Gershoff, 2002, p. 602-6112). In January, 2004, the Supreme Court of Canada upheld Section 43 of the Criminal Code, stating parents had the right to spank their children without fear of being charged with a criminal offence. But this spanking law has some new restrictions. The law now states that spanking is permitted with children between the ages of 2 years and 12 years, that the use of weapons like belts and paddles are prohibited, that strikes to the face and head are also prohibited, and that only reasonable force can be administered. Some would argue that any physical force constitutes abuse, where others maintain that spanking falls under the category of reasonable discipline. While it is not my intent to tell parents how to discipline their children, I do strongly urge parents to make an informed decision by checking out what spanking really teaches children. 1 Strauss, M. (2000). 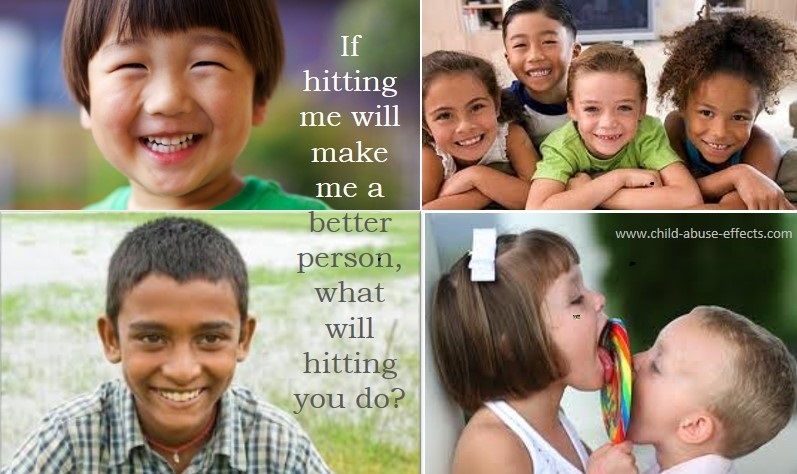 Corporal Punishment and primary prevention of physical abuse. Child Abuse and neglect, 24, (9), 1109-1114. 2 Gershoff, E. (2002). Corporal punishment by parents and associated child behaviours and experiences: A meta-analytic and theorietical review. Psychological Bulletin, 183 (4), 539-579.